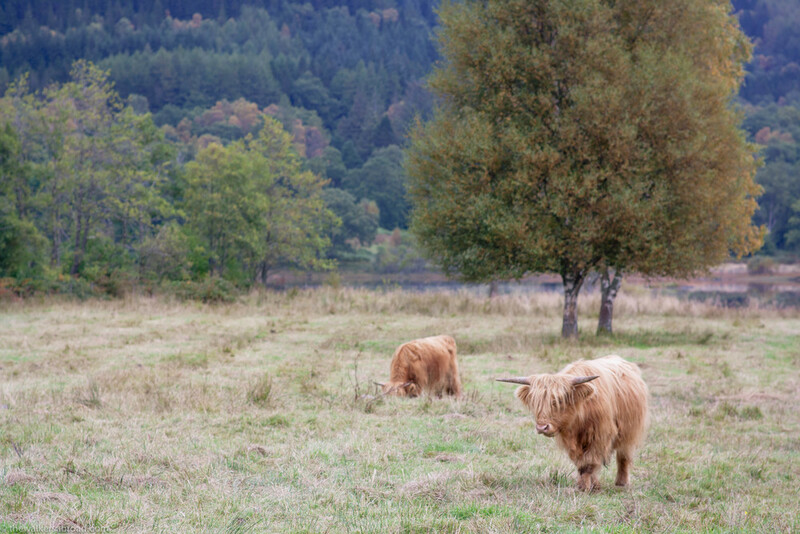 Scottish "coos" on the banks of Loch Achray. When we last had a car, we drove up through the Trossachs, before going to Inverness. On the day we went, the weather fluctuated between bright and sunny and cool and gray. While the roads we drove aren't famous for any special sights, we enjoyed a peek into Scottish fall and happily meandered through rolling fields of sheep and "coos". I *think* this was on our drive up through the Duke's Pass. Wherever it was, the views were amazing and the clouds were just lifting in the distance. A stunning, red tree in Aberfoyle. 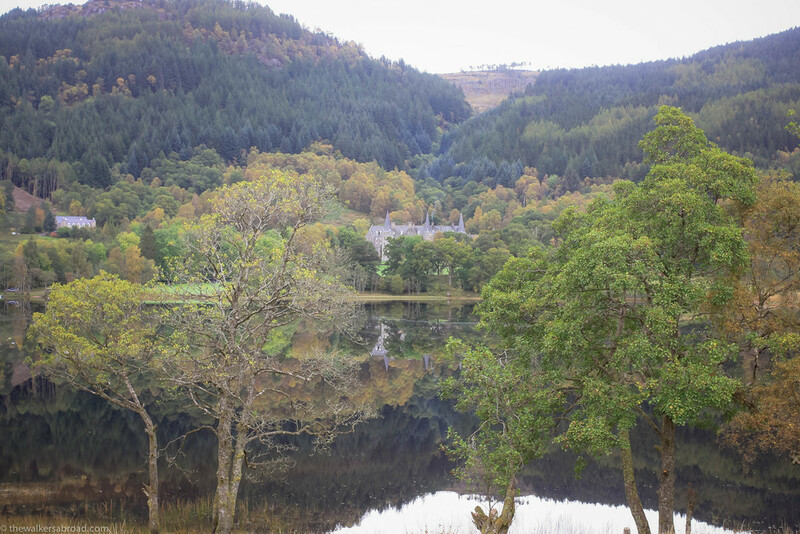 The building in the background is the Tigh Mor Trossachs, holiday rooms on the shores of Loch Achray. I couldn't get over how smooth the water was! 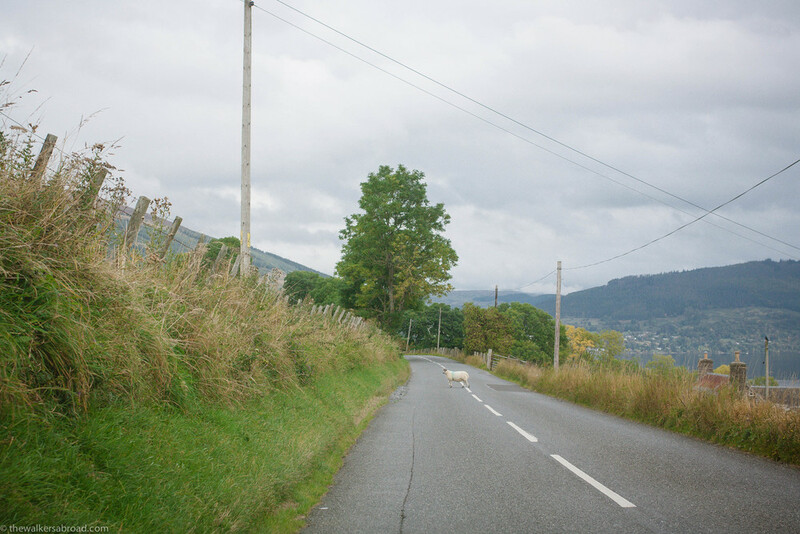 We frequently saw signs along the road, warning of the sheep in the road but this was the first sheep in the road we saw. Poor guy wasn't very bright. After we (slowly) drove by him, he trotted back out into the middle of the road. The yellow trees were so beautiful when the sun came out! I think at this time, we had no cell service so I have no clue where this picture was taken. The drive through this part of the Trossachs was beautiful though! Stone walls were everywhere and many are still used for keeping sheep and cows in their fields. More sheep on the lam. 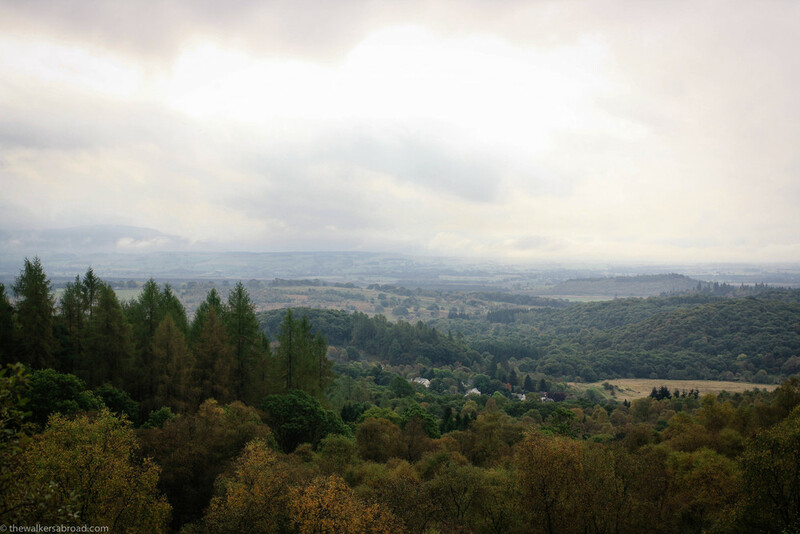 The Trossachs are full of lochs and trees and bens. The more remote the road, the less traffic one will encounter, which is great if you're wanting to drive slowly and take in the scenery (or if you get carsick because the windy roads WILL make you feel rather green!). Our route took us up the A821 until Kilmahog and then we took the A84 to Killin and from Killin we took the A827 until we hit the A9 up to Inverness. It was a long drive, but well worth it because the scenery was beautiful!